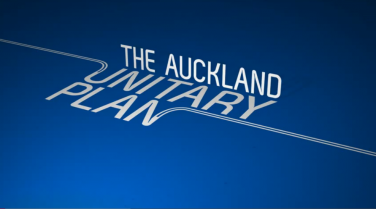 Commissioners for Auckland Council if the Unitary Plan is mucked up? Home / Affordable Housing / Commissioners for Auckland Council if the Unitary Plan is mucked up? The politics of this has been simmering away for a while. There is a concerted battle between Central and Local Government to apportion blame for Auckland’s housing problems which are now a full blown crisis. The Unitary Plan debate is central. Whoever designed the system and the timeline was cruel. The job is immense, having to shoehorn eight district plans and a regional policy statement into one document, standardise the language, allow for significant growth, complete hearings and consider submissions all within three years was always going to be a herculean task. To then give Auckland Councillors a limited time to consider the plan and then approve it during the white hot temperature of an election campaign is inviting a disaster. The debate about intensification in the leafy suburbs earlier this year shows how crazy things can get. I have commented previously that the process was flawed even if the altered proposal was not radical and important in creating Auckland’s compact city form. The process when the plan is returned to Council for its consideration is for each of the recommendations to be considered and either supported or replaced by an alternative recommendation that has to be within the scope of submissions. Council has 20 working days to complete the process with the ability of the Minister to extend this period by a further 20 working days. The job is mammoth and the potential for politicking huge. I suspect Councillors should bring a blanket to meetings because they could be very long and very contentious. The Government is building pressure on Council to pass the Unitary Plan without any fuss. We’re looking at those options. Nick Smith mentioned one yesterday (National Policy Statement) around the Government being more directive about what the plans should have. It’s our assumption that the Auckland Council understand what’s required for Auckland. It’s a growing city. If they want to be a world class city then a plan that allows that kind of growth and supply of land to feed it is what they’d want to produce. English was then asked if appointing Commissioners to run Auckland was an option for the Government. “There’s a range of options and we’ll have a look at them,” he said, without ruling out the appointment of Commissioners. The Prime Minister also warned that the Government would not be able to “sit back” if Auckland councillors did not deliver enough houses in the city. Asked to elaborate, Mr Key said ministers would make announcements in this area soon. And Nick Smith has threatened the use of the National Policy Statement procedure to require land to be freed up. He also accused left wing Councillor Mike Lee of nimbyism in opposing the redevelopment of the Gables site with intensive housing. I can’t recall Smith making similar attacks on right wing Councillors Cameron Brewer and others when they engaged in the rather more extreme example of nimbyism we saw earlier this year. The Government has proposed other solutions such as the redevelopment of Crown land to allow for housing. Offering a graveyard, power stations and Government House for redevelopment blunted the reputation of the proposal and created the impression that the Government did not know what it was doing. The underlying theme of this debate is that Auckland Council and local regulatory rules are to blame for the housing crisis. This cannot be true. The housing crisis began in 2008 during the global financial crisis when a number of building companies were wiped out by the disappearance of secondary lenders. It has developed further because our immigration rates are so high. Blaming a plan that is not even in effect yet and threatening to replace elected representatives with commissioners is not a civilised way to deal with the largest local authority in the country.